Come share with us a 10 day workshop designed by Maximo Laura for weavers of all levels of experience. You will learn, hands-on, the process and techniques used by Maximo Laura in a unique learning environment, taught by the master himself. This workshop is organized by the studio of Maximo Laura and Paola Laura (Maximo Laura’s daughter) who will be your host and teacher during this event. Maestro Maximo Laura is an internationally renowed textile artist known for his tapestry techniques and use of color. He combines ancient traditions from the Andes with contemporary tapestry weaving, as well as his own textured techniques, to create tapestries that are vibrant in color and in textures. He has been designated as one of Peru’s “Living Human Treasures”. This important award is given, following UNESCO guidelines, to an artist whose role is to preserve and elevate the culture of their homeland. 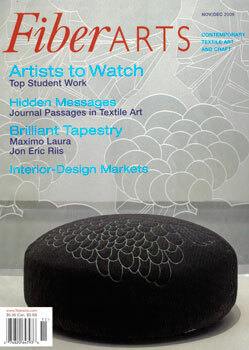 Throughout his 35+ years as a tapestry weaver, he has exhibited his work in more than 29 countries, winning many awards in an international and national level. Maximo’s work represents a masterful continuity in Peru’s textile traditions. His work is a woven symbiosis of Ancient Andean Textiles, international influences, and something deeply personal. It’s art. 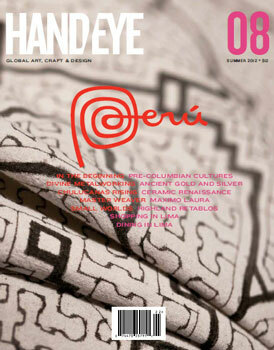 Complex tapestries intertwine Peruvian tradition and contemporary aesthetic. This workshop is designed to adapt to the experience of each participant, as you will have the personal hand of Maximo Laura assisting the group during the workshop, along with three Master Weavers, Jim Laura, Richar Laura and Paola Laura. It is open for beginners, intermediate and advanced weavers. Although it is not a requirement, we recommend participants to have basic previous experience on a loom, to be able to take more advantage of this workshop. Maestro Laura and the Master Weavers will be with you throughout all of the workshop. On the last day of the workshop, we will organize a special exhibition with all the completed pieces, sharing the last day with Maestro Laura and receiving your certificate for completion of the workshop. You will be able to take your piece with you at no additional cost! The workshop will take place in the historical city of Cuzco, Peru, a UNESCO World Heritage Centre. We have decided to organize the workshop in Cuzco because it is a fascinating host city to explore, specially if you are a textile lover! Cusco is the archeological capital of South America, with some of the most important ruins of the Inca empire, museums and wonderful places to explore for textiles and folk art. On the first day, while your teachers are setting up the looms, you will be going on a city tour to get familiarized with Cusco and its wonderful streets, galleries, shops and cafes. 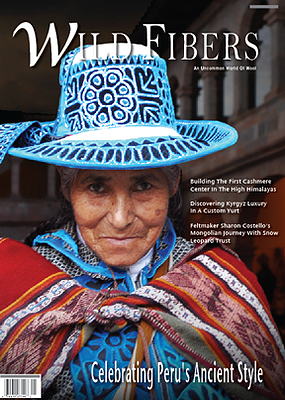 We will show you the artisan neighborhood of Cusco and share with you our favorite spots for art, crafts and textiles. During your free evenings thorughout the workshop you can always walk back to your favorite places and explore this fascinating city on your own. The workshop will take place from April 26 – May 5, 2020. We will pick you up from the Cusco airport and take you to your accommodation in the city of Cusco. Day 2 (April 27): City tour of Cusco. Finishing and cleaning process of your piece. Exibition of final works at the end of the day. Day 10 (May 5): Departure. We will take you from your accommodation in Cusco to the airport for your departure. We have created 3 different plans, designed to be flexible to the desires of each participant. The payments can be made online, with a debit or credit card, or through a bank to bank wire transfer. They are divided into two parts: a non-refundable deposit required to secure your space, and a final payment. This plan is design for those who would like to choose where to stay. There are people that have been to Cusco before and have their favorite spots, or others who would like to choose their hotel, so in this plan, each participant can coordinate their accommodation and walk to the workshop space in the morning. Cusco is a small city and most of the hotels are in the historical center where everything is within a walkable distance. This plan includes your accommodation for 9 nights. The workshop will be organized at the beautiful “Xima Hotel”, located in the historical center of Cusco so since we are organizing the event there, they have given us a special rate that we are happy to transfer it to you as well. We found this option very practical, as you’ll probably want to spend your free time in Cusco exploring the city insetad of walking from other hotels to the workshop. Flight from Lima-Cusco and Cusco-Lima is not included, but if you would like us to help you coordinate them, let us know and we’ll be happy to assist you at no extra cost. This plan includes a total of 14 days and 13 nights. We will pick you at the Cusco airport and take you to the Xima Hotel. On the following day you will be going on the City Tour of Cusco and then have the 7 days of workshop. After the workshop, you will go on a 4 day adventure to visit Machu Picchu, the Sacred Valley, the archeological sites of Pisaq, Moray, Ollantaytambo and a day of hands-on natural dyes workshop with the ladies of the town of Chincheros, at the outskirts of Cusco. If you would like to sign up for this workshop, please complete the form below and we’ll be getting in touch via email for the following steps. We look forward to meeting you in Cusco!